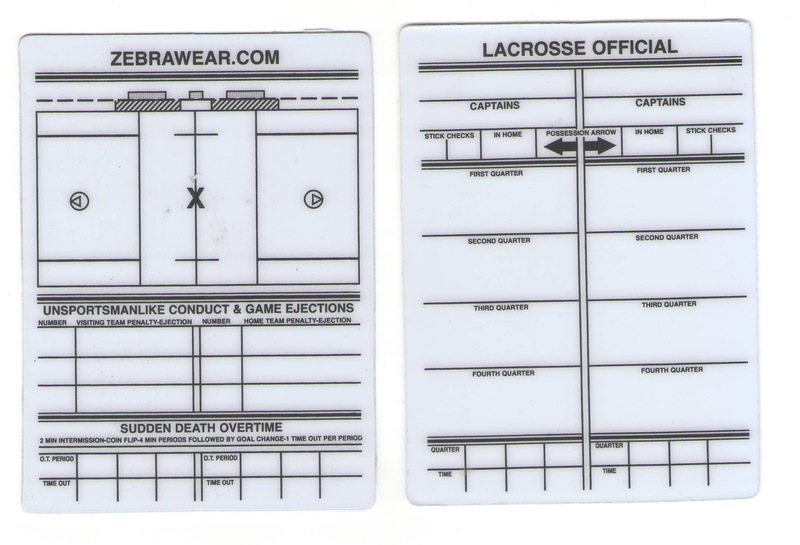 Plastic Official's Pocket Score Card. Laminated, rigid plastic. Easy to write on. Resuable.